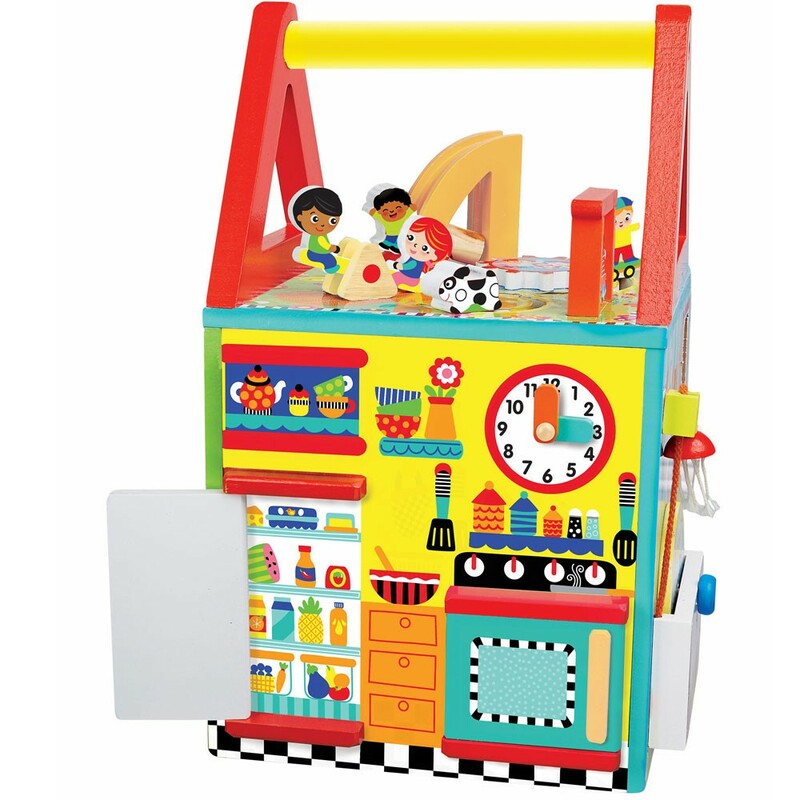 Let's develop hands and minds as we play a house with this super fun visual and manipulative activity center from Alex Toys! 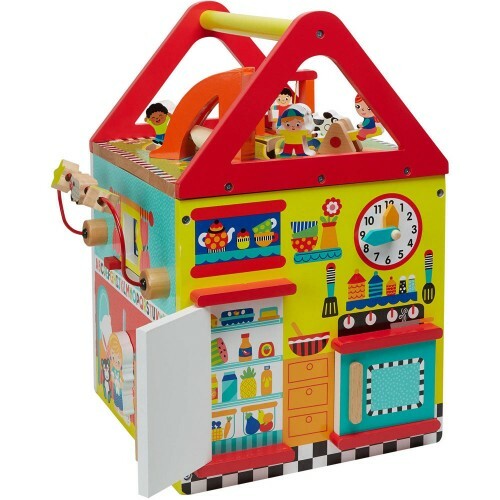 Let's develop hands and minds as we play a house! 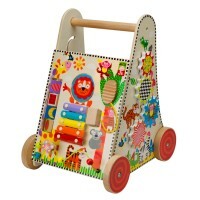 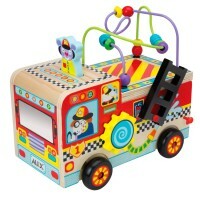 My First House Wooden Activity Center is a terrific manipulative activity center from Alex Toys. 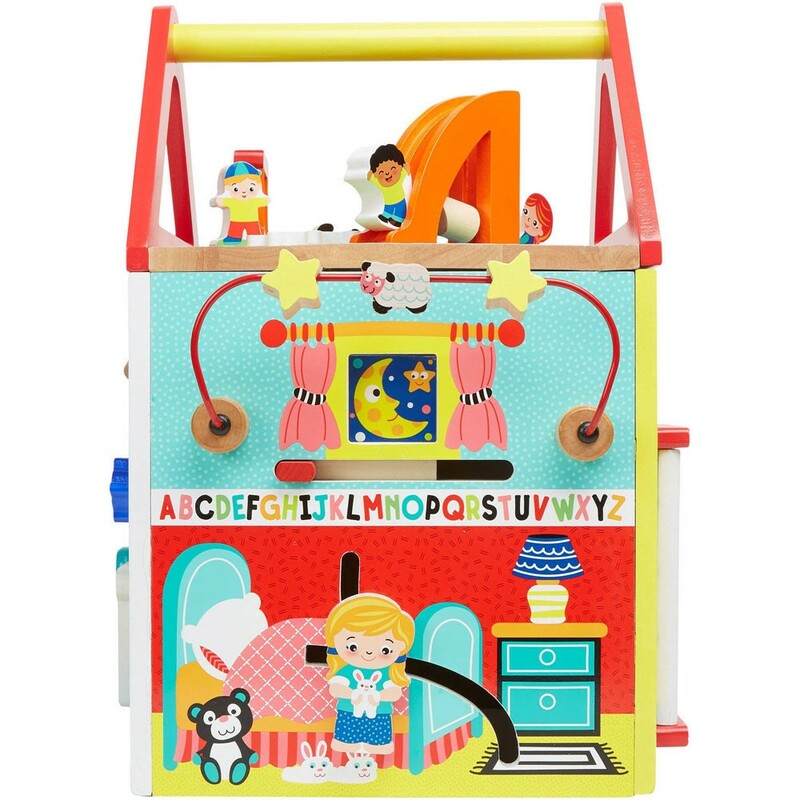 This busy cube features 5 sides of discoveries. 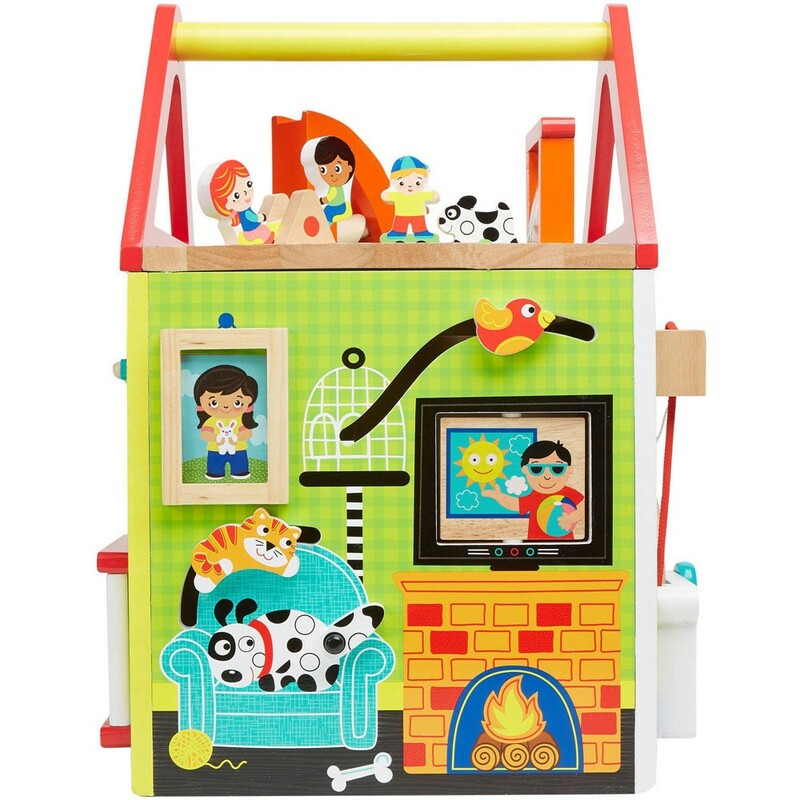 Each side presents a different room in the house. 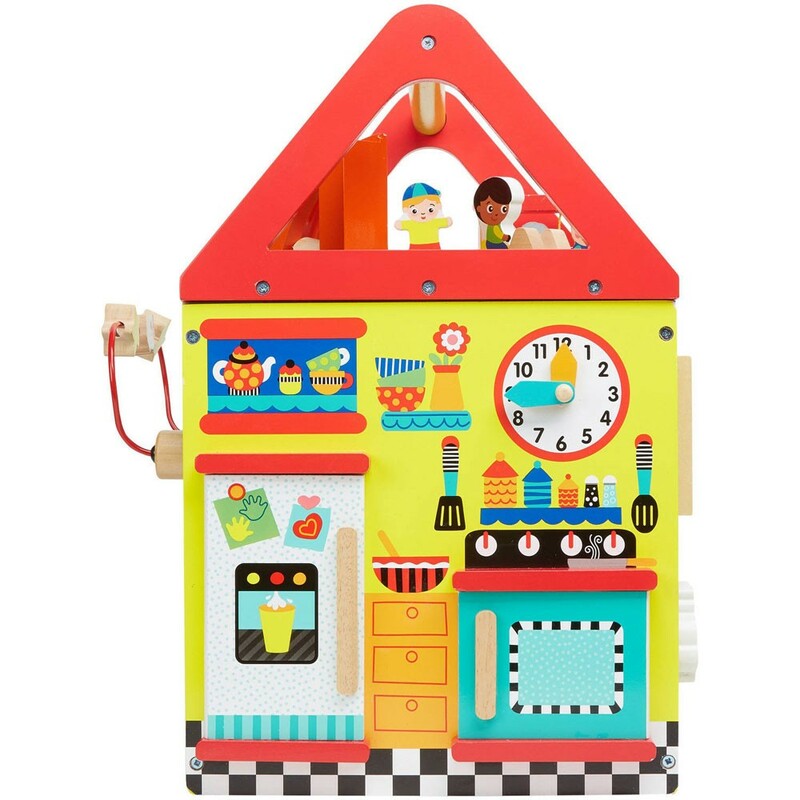 Check the fridge with the opening door or kitchen wall clock with the moving handle. 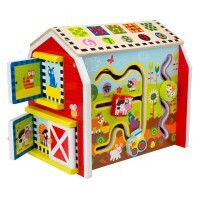 Roll the beads on the bedroom window, Play in the roof backyard, and much more. The manipulative activity house has 5 rooms : kitchen, bedroom, bathroom, family room and rooftop playground. 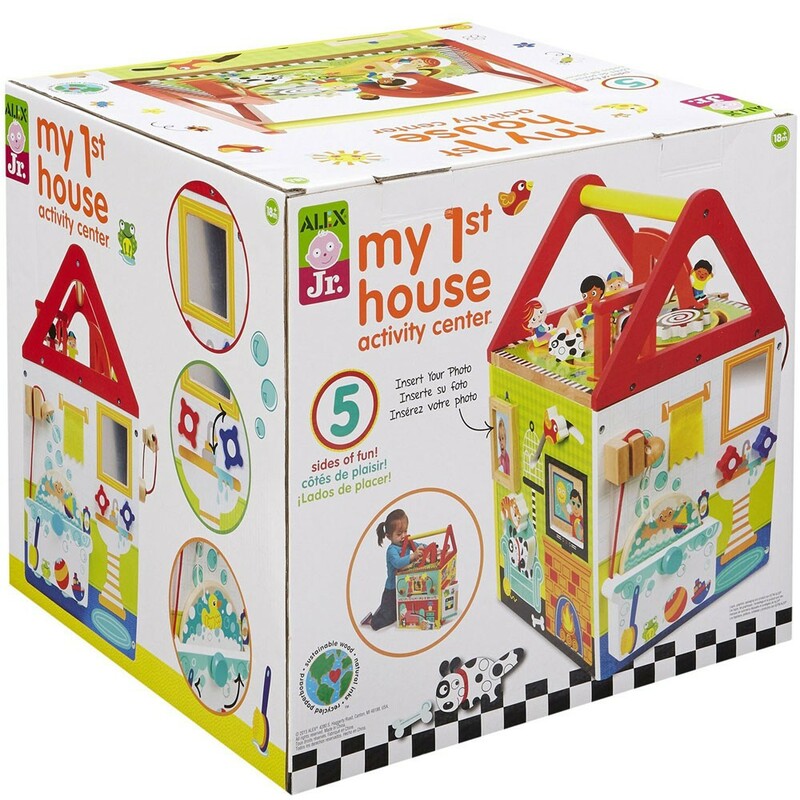 This activity cube comes with safety mirror, peek-a-boo doors, wagging tails, moving hands clock, sliding beads, spinning scenes, see-saw swing, slide and more! 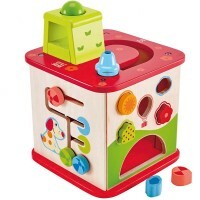 My 1st House cube from Educational Toys Planet is great activity center, especially if you're tight on space. 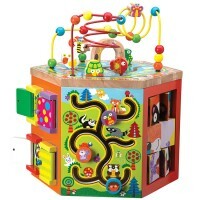 It works as a great waiting room play center, classroom activity cube, or home play companion. 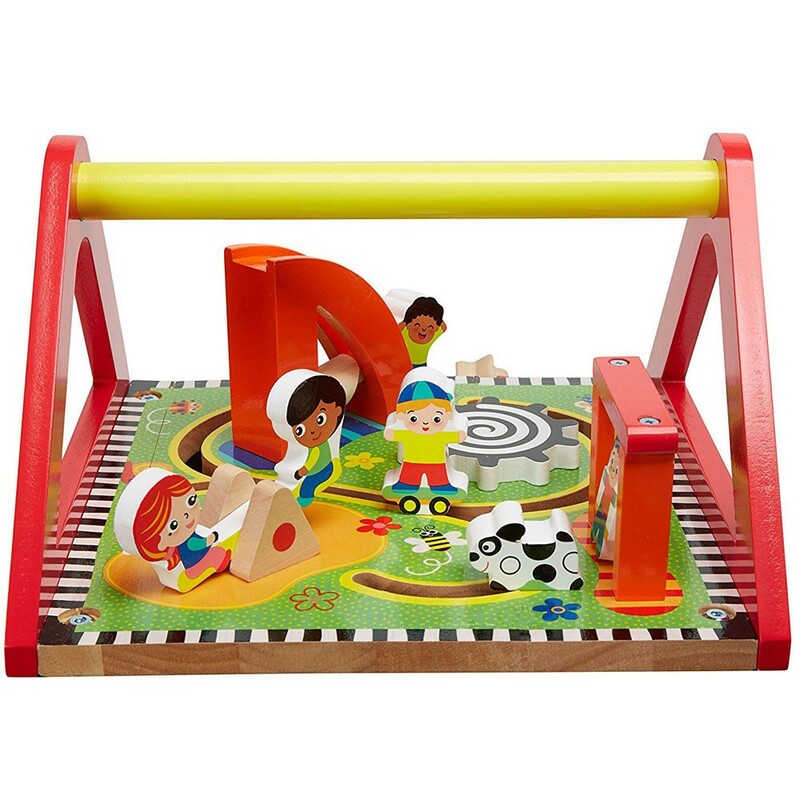 Kids will be entertained for hours as they play with the various enhancing and stimulating games with this wonderful activity toy. 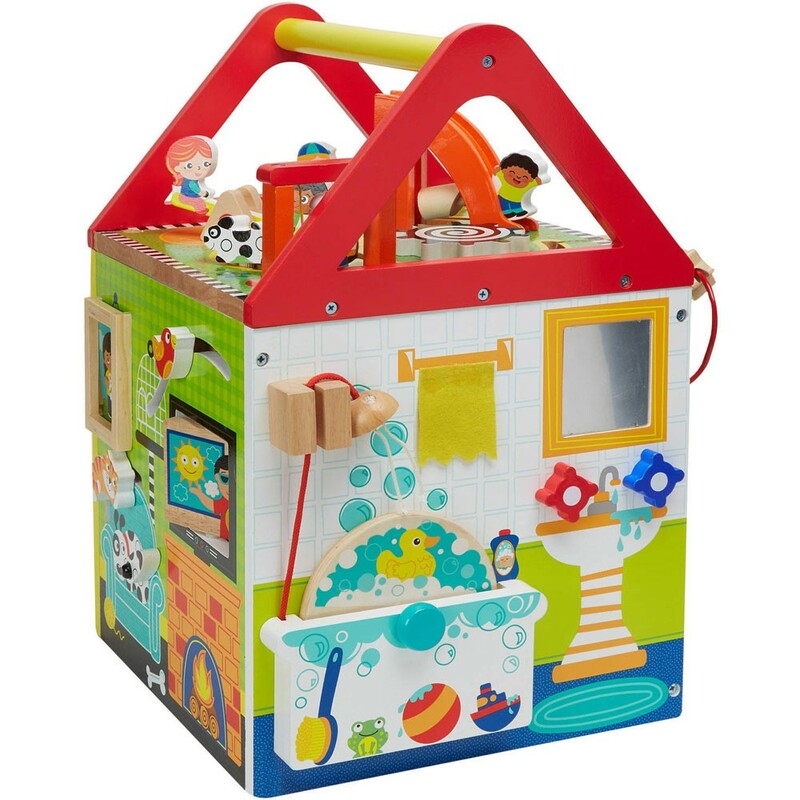 The busy house cube promotes play-based learning, infusing basic learning skills such as hand-eye coordination, visual tracking and more into an entertaining activity cube! 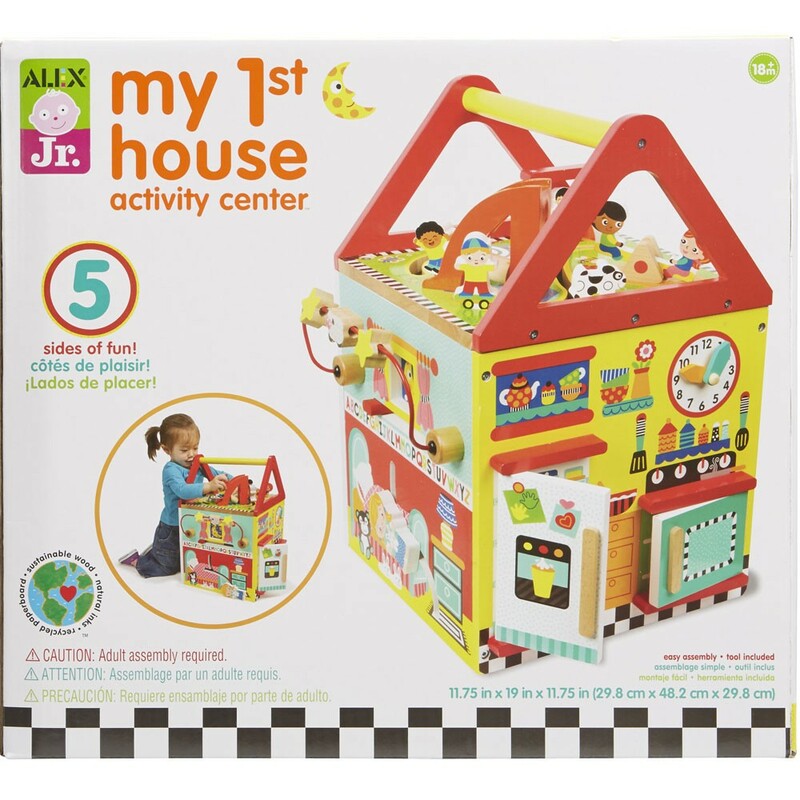 Dimensions of package 13.5" x 17" x 18"
Write your own review of My First House Wooden Activity Center.